4. 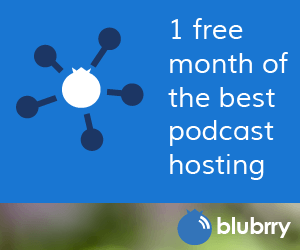 Paste your RSS feed in the box provided. 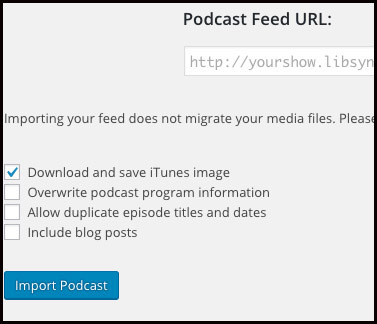 Download and save iTunes image takes your image from your RSS feed and saves it to your PowerPress artwork settings. 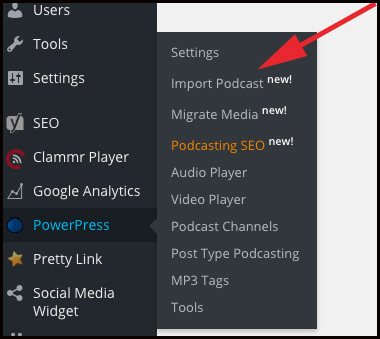 Overwrite podcast program information fills out your program information based on what is in your RSS feed settings, even if something is already there in your PowerPress settings.